TPP text released – 90 days to stop it! 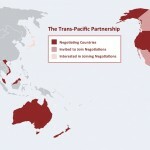 The text of the Trans-Pacific Partnership has finally been released — and it’s as bad, if not worse, than expected. When you think of “free trade,” you probably think about cargo ships, tariffs, and quotas. But only a small portion of the TPP addresses those issues. Instead, the majority of this long, complicated agreement sets the rules for all the countries in it – including the U.S. – on issues such as agriculture, food, intellectual property and patents, banking, and more. The agreement gives international corporations the ability to trump properly enacted domestic laws by attacking them as supposed trade barriers. The TPP gives importers the ability to challenge individual border inspection decisions, second-guessing U.S. inspectors about what food is safe and not safe to let into our country. The TPP threatens any serious limitation on genetically engineered foods. Although this portion of the text still isn’t available, the USDA’s website states: “The TPP … includes provisions on agricultural biotechnology that commit TPP countries to foster transparency in their decision-making processes, to work together on situations of low-level presence, and to promote timely authorization of products of modern biotechnology.” Translating that into regular English: Agribusiness and biotech companies will be able to use international tribunals to challenge countries that ban GMO imports, test for GMO contamination, do not promptly approve new GMO crops, or even require GMO labeling. The TPP undermines “Buy American” rules, even when American tax dollars are being spent. The TPP procurement chapter gives firms operating in any TPP nation equal access to U.S. government procurement contracts, rather than the government continuing to give preference to local firms to build and maintain our public roads, bridges, railways, post offices and universities. 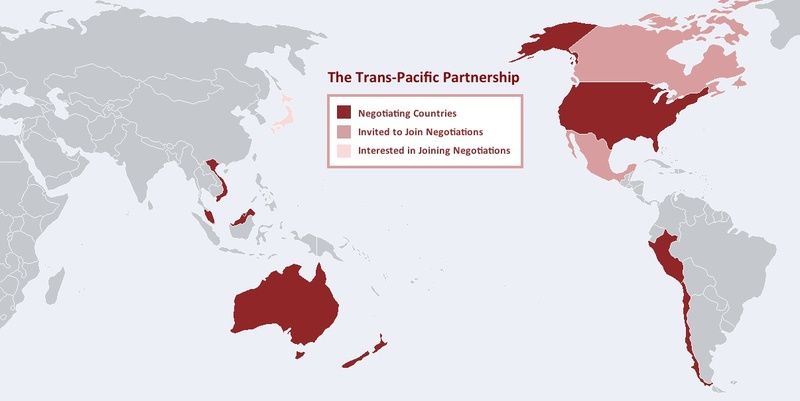 We’ll provide more information on the details of the TPP in the coming weeks. But don’t wait – you need to take action now! The Administration and Congressional leadership have already launched a PR blitz to try to win approval of the TPP, and we need to keep up the pressure on Congress to stand up for American farmers, workers, and consumers. Contact your member of Congress and tell them to reject the TPP!